Cornflakes Cookies are a favorite during festive times and they are my all time favorite biscuit. Crunchy on the outside and chewy in the center - they're addictive. 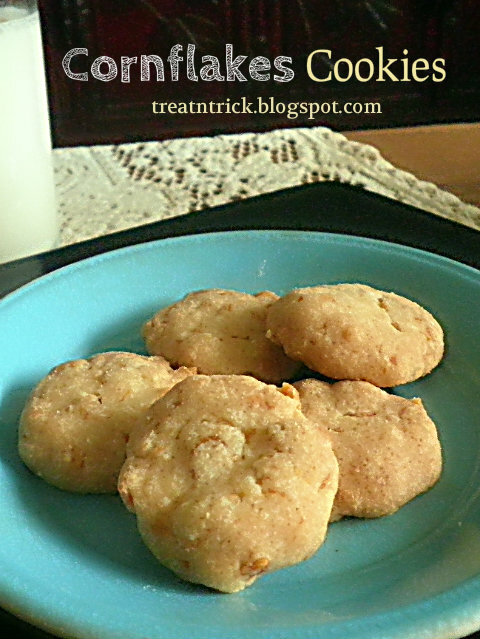 This buttery cookies were quite tasty and the crunchy crushed cornflakes added a great texture. As usual, most of my cookies are super simple and easy. No extra trouble or special thing to use. It actually gives you a nice break to prep the rest of the ingredients. They are delicious on its own but if you;re adventurous enough, feel free to add other mix ins such as coconut, sultanas, glace cherries or even chocolate chips. 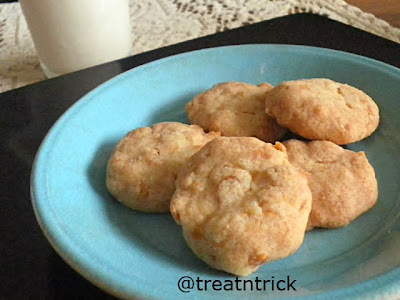 Do you have your favorite Cornflakes Cookies recipe? Please share on the comment section, I love to try it. 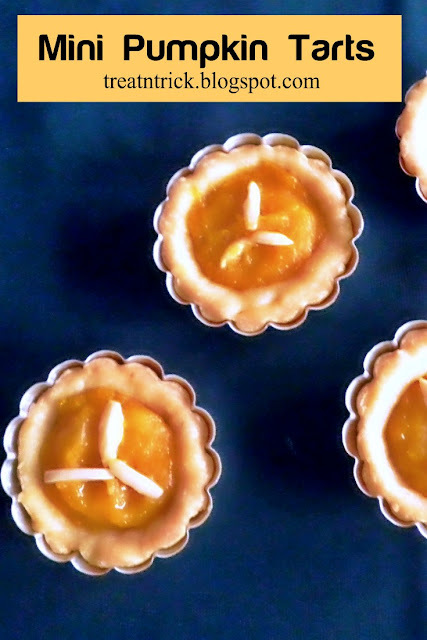 This satisfying Pumpkin Mini Pie is the perfect size to snack on by itself or enjoy as an elegant finish to any meal. I love making pie dough from scratch. It's really not that hard. This crust was easy to handle and tastes good too. 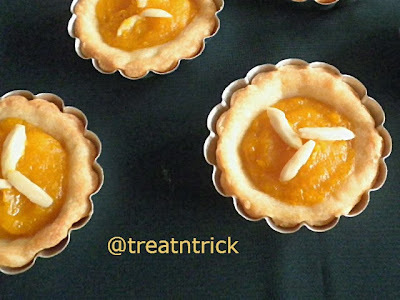 You can use canned pumpkin if you like the traditional thick texture and sweetness but I like using fresh cooked pumpkin. It is not overly sweet and much lighter. You can freeze cooked pumpkin for many months so you can still make this pie whenever you want. This South Indian dessert is always served during festivals and special occasions. 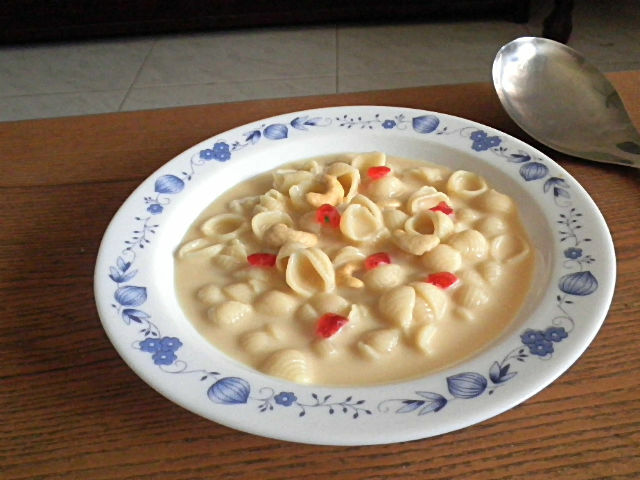 Macaroni Payasam was delicately flavored with cardamom and nuts. 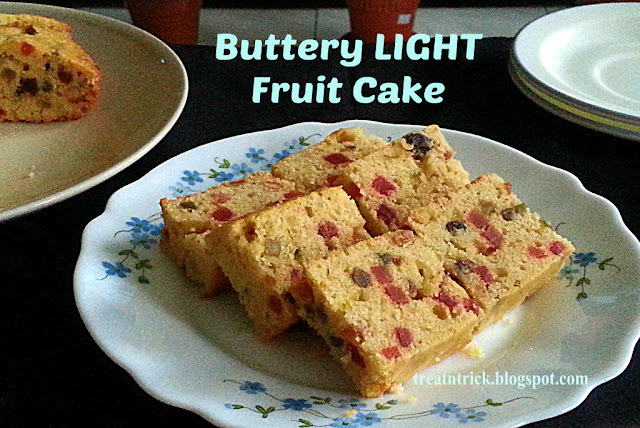 A great dessert for anytime of the year that anyone can cook at home. Made with macaroni, sauteed in ghee and milk, it can be customized to your palate by adding more or less sugar. 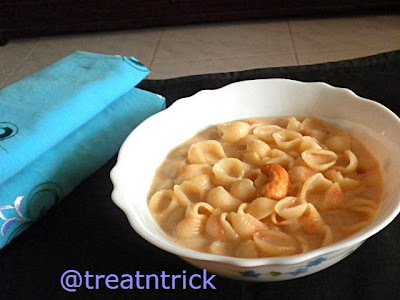 Using stove top, the delicious payasam will be ready in a matter of minutes by simmering the macaroni in a pot of milk. The flavor of this dessert improves with time, dilute it with a little warm milk before serving since it thickens as it sits. I'm using a seashell shaped macaroni but it is great with other type of pasta too. Heat the ghee in a deep pot, add in the nuts, fry until light brown. Transfer nuts onto a plate. Using the same pot, fry the macaroni for 1 minute. Add the milk, simmer until the macaroni turns aldente, stirring in between. Now add the sugar, stir well. Add in ground cardamom and fried nuts, stir well. It's time for a treat that won't make you feel guilty, lightly sweetened, this dessert looks as good as it looks. 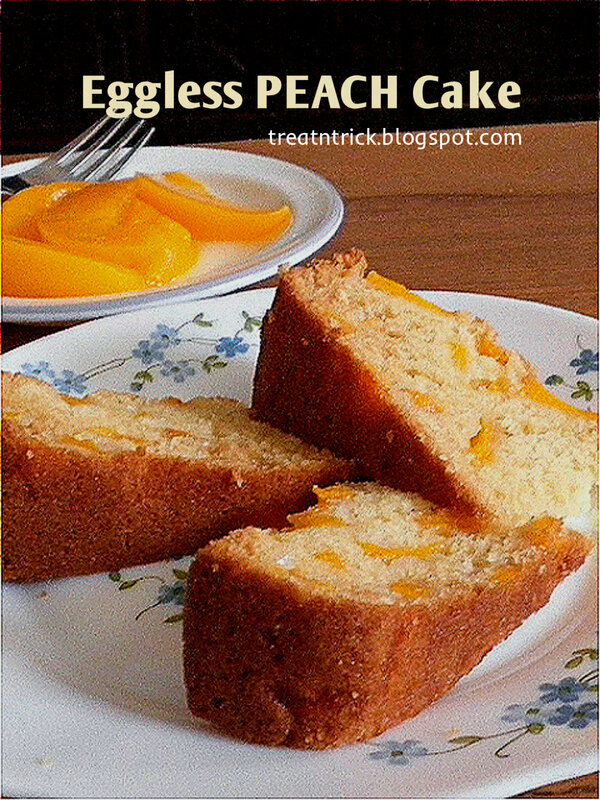 I'm using canned peaches but if you can get hold of the fresh ones, it would be much better. Make sure you drained the peaches pretty well before adding it to the batter. 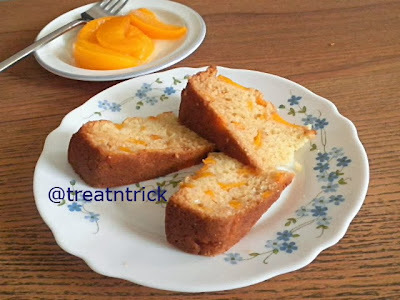 If any of you want to switch out the peach slices for some other fruit, this cake would work with pears, plums and apricots. 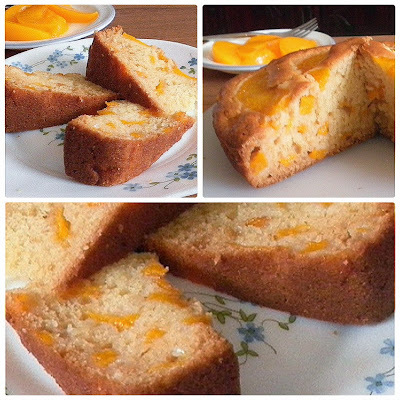 An incredibly moist and light cake baked without egg. Everyone who has eaten it, loves it!